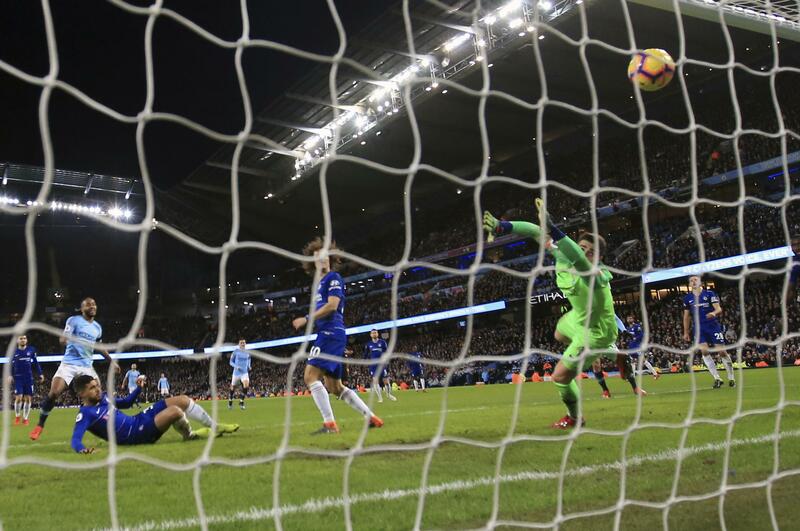 Sun., Feb. 10, 2019, 5:49 p.m.
MANCHESTER, England – Chelsea was handed its heaviest loss in 28 years on Sunday when Manchester City routed Maurizio Sarri’s side 6-0 in the Premier League. Raheem Sterling scored twice – City’s opener in the fourth minute and the sixth in the 80th – and Ilkay Gundogan also netted. “I don’t know, you have to ask the club,” said Sarri, who was hired after leaving Napoli. “I am worried about my team, I am worried about the performance but my job is always at risk so I am not worried about the club – you have to ask the club. Chelsea had not lost by six goals or more since April 1991 – a year before the inception of the Premier League – when Nottingham Forest beat the west London club 7-0. Published: Feb. 10, 2019, 5:49 p.m.